Tiredness goes hand-in-hand with modern life. But if you’re in a constant battle between work, fatigue and distraction, then science has got your back. 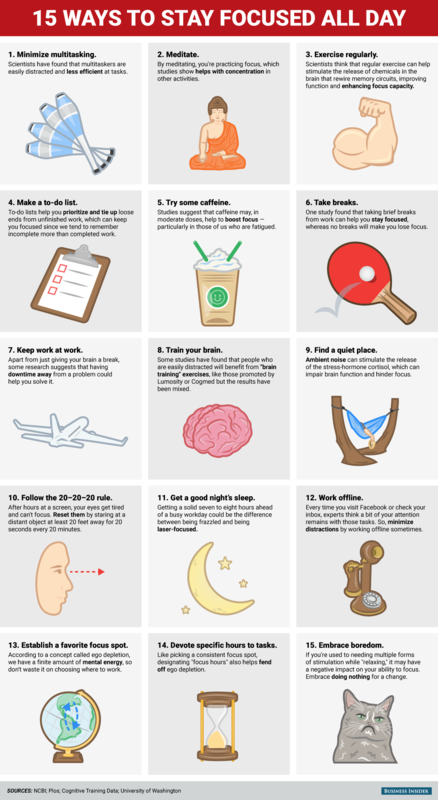 This infographic from Business Insider shows the best science-approved techniques to keep your mind and body alert throughout the day. Turns out, caffeine and sleep aren’t the only answers.